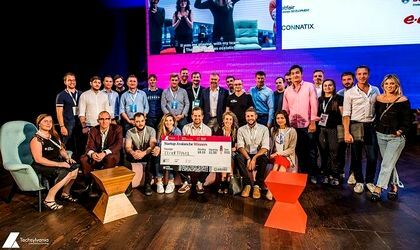 This year’s Techsylvania Startup Avalanche brought 15 startups from 13 countries to Cluj, Romania, to pitch to investors and compete for a curated trip to Silicon Valley, to meet with more potential investors, partners, clients, mentors, and more. The competition was organised by Techsylvania in partnership with Risky Business, a Cluj-based accelerator fund. Troop Travel from Spain was the winning startup, with a strategic platform for finding the best meeting locations for globally distributed teams, optimizing cost, time, and experience. This year, a surprise prize of a table at Techcrunch Disrupt was also offered. The 15 startups, selected from more than 280 applicants, included solutions targeted towards diverse industries, including AI, drones, horeca, agriculture, HR, travel, IoT, medtech, and more. More than 40 investors from the region and world joined, including angel local investors like Calin Fusu, Sergiu Biris, and Voicu Oprean; international angel investors; and funds and accelerators including Social Capital ($1.2 bn fund), Sunstone Capital, Greybella, Buran VC, EQT Ventures, Credo Ventures, Axel Springer Plug and Play, and many more. Investment interest was high and the teams will have follow up meetings in the coming weeks. The conference also featured the launch of two new funds/programs for startups: TastyBrands.vc, which invests in HORECA innovations and operations, and a security incubator by BitDefender. Techsylvania Avalanche is not just a competition. 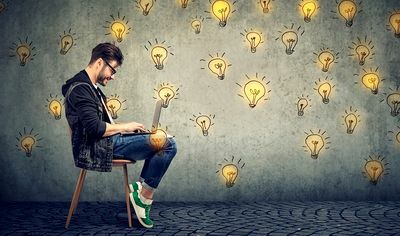 After being selected to compete out of more than 280 startups this year, the startups receive remote support to improve their pitch and better structure their investment plans. The teams begin arriving to Cluj a week or more before the competition to work with the Risky Business team on their pitch and more. In addition, the Risky Business and Avalanche team work to connect them to the Romanian startup and business ecosystem. For example, Vingineers enjoyed a day trip to Jidvei winery, where the startup demoed their solution and received valuable feedback and ultimately secured the partnership. STKTK, from Poland, was introduced to Ebriza, a Romanian startup, to explore integration and partnership opportunities. In the days prior to the competition, the startups work well past midnight with mentors to perfect their pitch, strategize, and practice Q&A. After the competition, the startup one-pagers are sent on to the teams’ investment network and the startups are introduced to relevant people and funds. Troop Travel [WINNER] – Spain/South Africa: a strategic platform for finding the best meeting locations for globally distributed teams, optimizing cost, time, and experience. Vingineers – USA/France: founded by an American space engineer. Uses AI to provide analytics, modeling, and disease detection based on drone imagery. Sypher – Romania. SaaS GDPR compliance platform. Monday Lifestyle – Romania/Sweden. Global platform for health coaches and nutritionists offering users advice, support, and recipes to live healthier. Fastcast – Slovenia/Canada. An AI talent scout for casting in media and entertainment. Other competing startups included founders from all around the world. SipScene – Israel. An online marketplace for social events in people’s homes. Apiary Book – Romania: hive management app allowing beekeepers to easily track health, treatments, output, and more. Little Data, UK/Romania – Analytics toolbox for your ecommerce business, supporting insights from marketing channels to buying behavior and more. Oupio, Romania – Artistically designed smart lighting and IoT device creating the perfect ambiance of light and sound. 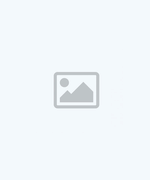 Medijobs, Romania – Career marketplace for medical specialists. IVCbox, Kazakastan – Videochat widget allowing quick and seamless support including video, voice, chat, and screen capture in a single click. STKTK, Poland – Beverage supply management platform integrating stock, ordering, predictions, analytics, and more. Bookitgreen – Germany. Booking platform for sustainable accommodations, helping people reduce their eco footprint while traveling and explore eco-friendly venues. LawyerHelp -Romania. Cloud platform providing case tracking & billing for lawyers. LiveCare – Romania. Wearable device connected to mobile app using AI to detect and classify heart arrhythmias in real-time. Startup Avalanche is the startup competition inside Techsylvania, organized in partnership with Risky Business. Now in its third year, the competition focuses bringing early-startups from Romania and all around the world to Cluj, Romania, to gain meaningful opportunities and connections. Techsylvania is an event for all passionates in the world of IT, technology and business, created five years ago by Oana Petruş and Vlad Ciurca. The purpose of this event is to become a link between local communities and the latest technologies and trends, as well as to create networking opportunities with the most influential people in the IT industry. The number of participants at the event increases annually, over 2,000+ participants attending the last edition, proving that it is one of the most important technology events in Romania and Eastern Europe. Risky Business is a private acceleration fund launched in Cluj in early 2017, which brings together over 30 of the most prominent entrepreneurs and investors in Transylvania. Risky Business is focused on providing full platform support for its portfolio startups.